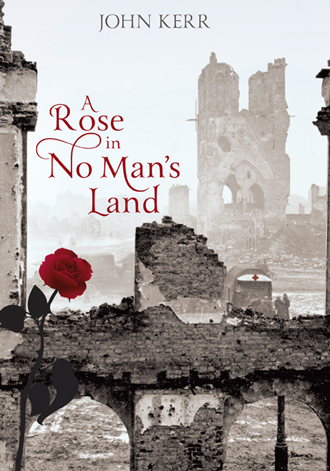 A Rose in No Man’s Land has just been released by British publisher Book Guild. The story is set in Flanders and France in 1915, in the midst of the heavy fighting between the British and German armies in the First World War. In the opening chapter, Frank Harrington, an American who just graduated from college, is taking his ambulance, a converted Model T Ford, out for his first pick-up of badly wounded British soldiers at the front. He makes the perilous trip, in the darkness under German bombardment, to a British Casualty Clearing Station in a converted monastery, where he meets Kit Stanley, a young volunteer British nurse, taking a break after working through the night assisting in the operating theatre. Thus begins a love affair between Kit and Frank, complicated by the fact that Kit is already in a relationship with Captain Nigel Owen, the CO of a battalion of British infantry in the thick of the worst trench fighting in the Flanders sector. Frank Harrington is one of several thousand young Americans who volunteered to drive ambulances for the British and French armies under the auspices of the American Field Service, despite strict American neutrality. 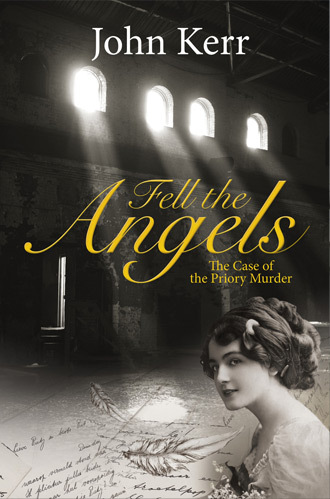 Kerr’s third novel, Fell the Angels, will be released in the spring of 2012 by London-based publisher Robert Hale Ltd. The novel is based on the well-known, unsolved murder by poisoning of Charles Bravo in Victorian-era London. The victim, re-christened Charles Cranbrook in the novel, died in his bed from poisoning a mere four months after marrying the beautiful and exceptionally wealthy Cecilia Henderson. During the course of the coroner’s inquest into the death it emerged that Cecilia had been involved in a scandalous affair with the much older, famous physician Dr. James Gully, whose patients numbered William Gladstone, Lord Tennyson and Charles Darwin. In Fell the Angels, Cranbrook’s mysterious murder is investigated by the brilliant crime detective Duncan Cameron. The novel’s title is taken from Shakespeare’s Henry the VIII: I charge thee, fling away ambition. By that sin fell the angels. 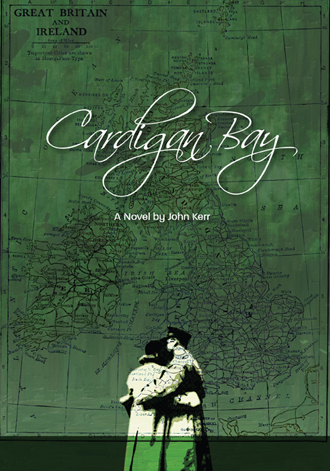 Cardigan Bay opens during 1942: A Year of Crisis. Germany’s armored divisions have swept across the Sudetenland, Czechoslovakia, Poland, and France, and control the continent known as Fortress Europe. In Operation Barbarossa, Hitler drives a surprise attack eastward against the Russians. America, drawn into the war after Pearl Harbor, has yet to reach its full military complement. In North Africa, Rommel’s Panzer divisions overrun British positions at Tobruk, taking 25,000 prisoners. Churchill calls it England’s “darkest hour.” In a hospital south of London, Major Charles Davenport recovers from wounds received at Tobruk. In Whitehall, a top-secret operation is underway. Britain’s War Office is hard at work on a plan for the future invasion of the Continent—a plan destined to include Davenport. Across the Irish Sea, a young American widow seeks refuge on Ireland’s eastern shore. MaryKatrin Kennedy has suffered her own wounds—the recent death of her husband and young child. Ireland remains steadfastly neutral in the War, but the island is a battleground nevertheless, home to desperate IRA plotters and German provocateurs. Two separate lives, swept up in a year of crisis, and brought together in Cardigan Bay. 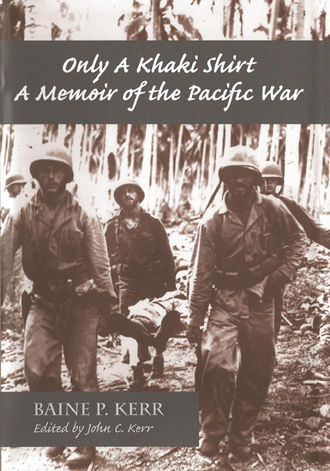 Kerr also co-authored Only A Khaki Shirt, A Memoir of the Pacific War, with his late father, Baine Kerr, who fought in the Pacific during WWII. The Admiral Nimitz Foundation published Only a Khaki Shirt in 2006 and sells the memoir through its bookstore.